They get us, they REALLY get us! National Cat Day is October 29, so let’s celebrate with cat GIFs! Cats can be finicky, funny, and ferocious, all within a few minutes. And when you take a closer look, teaching life can be quite similar! 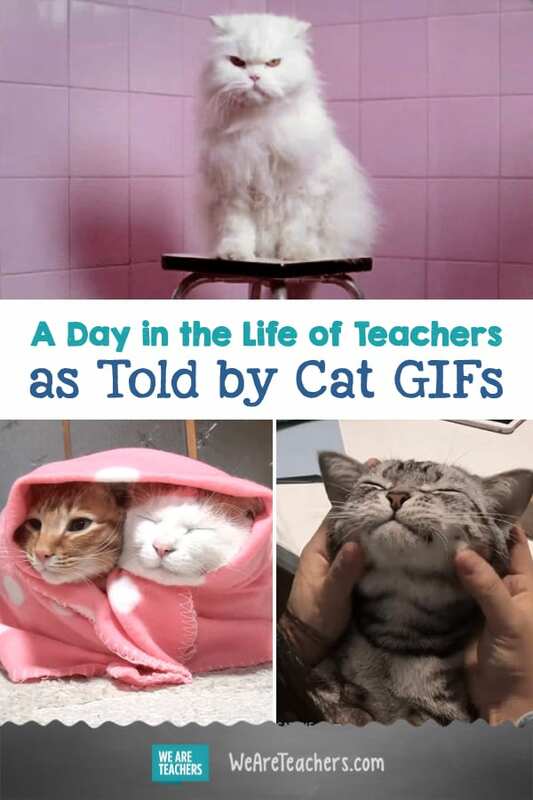 So, in honor of National Cat Day, we proudly present the day in the life of teachers as told through the best cat GIFs we could find! All the coffee in the world couldn’t prepare you to “adult” today! You don’t want to draw any attention to yourself. You also use this move when you’re trying to head out for the day without anyone seeing you. Can’t you just hit the redo button? Better yet, how about the weekend button? It is what it is, so you might as well make it work. If only you had more planning time! Ahhh, the students are in a lab. You’re just gonna put your feet up, and no one will ever know. They say they’re just stopping by to say hi, but you know you just lost 20 minutes. Somehow, it makes it all better. It’s been scheduled for weeks! You gave out your cell phone number just for this reason! Even if it’s just for 10 seconds in the hall—all is right in the world! You just want to be treated like an adult. Is that too much to ask? Well, now that turned out! You have exactly eight minutes to bang out evaluations, lesson plans, and letters. There’s nothing like your couch and some Netflix after a long—but fulfilling—day! You earned it! Zzzzzz. Goodnight, teachers. Thank you for doing what you do. Do you have any good cat GIFs to share? We’d love to see them in our WeAreTeachers HELPLINE group on Facebook. Plus, check out a teacher’s day as told through babies.